The 2019 Annual Conference is November 3-5 at the Marriott East Indianapolis. This event welcomes approximately 700 attendees representing all types of positions within all types of libraries. Exhibit booths are 10' wide x 8' deep. Booth fees are $850 for corporate organizations and $450 for nonprofit organizations until October 15. If you book before July 1 there is an early bird discount. Booth space will be assigned once payment is received. Assignments are subject to change. 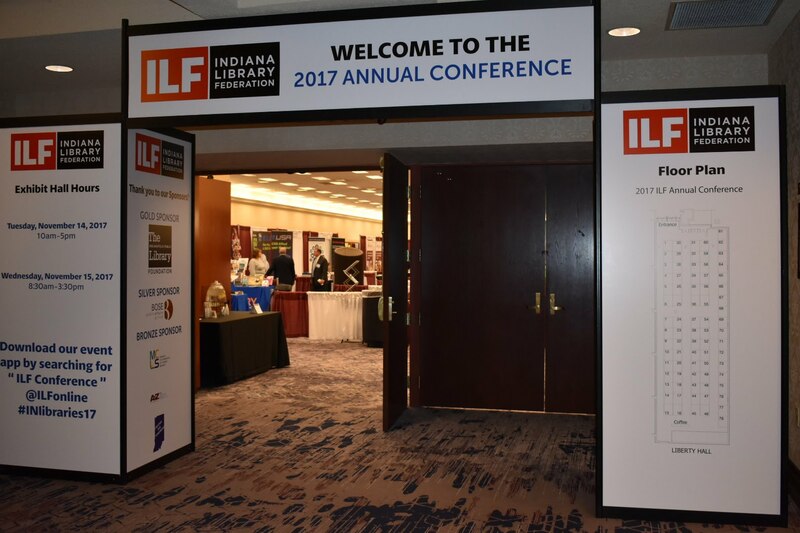 ILF is also welcoming sponsors, and co-sponsors, at all levels for the Annual Conference. If interested, please use this link to submit your requests. This link will give you an idea of the items and events that require support at the Annual Conference. It is not an all inclusive list and we welcome ideas outside of those listed.